Drives can be monitored safely using the new motion monitoring modules for the configurable control systems PNOZmulti 2. 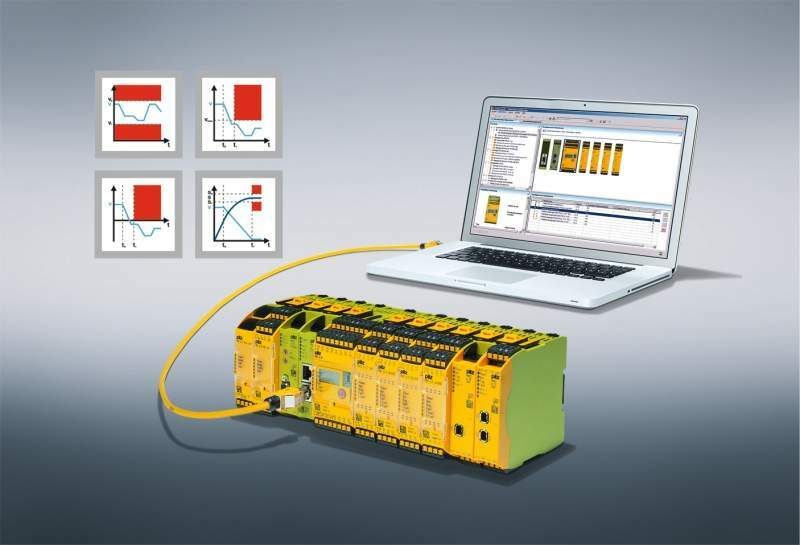 The new motion monitoring modules from Pilz increase the productivity of your plant and machinery. Modules are available for safe monitoring of one axis or two axes. Using the industrial interface Mini I/O, all common incremental encoders can be connected using drive-specific connection cables. Safe motion monitoring is not only used to protect operating and maintenance staff; it's also important to avoid mechanical damage to plant and machinery if movement is too rapid, for example, thereby ensuring a smooth production process. As a result the configurable control system PNOZmulti 2 is now even more flexible and suitable for use in even more application areas. Automation: complete and simple!